In other words, Boeing claimed it was their idea / recommendation that the FAA ground the aircraft. Meanwhile, Donald Trump declared that he grounded the aircraft by executive order, forcing the FAA’s hand. Which begs the question — why did it take a presidential decree and/or the company itself to get the FAA, the main agency responsible for overseeing airplane transit in the United States, to ground potentially dangerous aircraft? As James Hall, the former National Transportation Safety Board chairman, explained in the Times, in 2005 the FAA turned its safety certification responsibilities over to the manufacturers themselves (if manufacturers met some requirements). In plain speak, this means that Boeing got to decide if Boeing’s airplanes were safe enough to fly — with little additional oversight. The FAA said the purpose of this change was to save the aviation industry roughly $25 billion between 2006 to 2015. Given this, it makes you wonder if the statement on Tuesday by Acting FAA Administrator Daniel K. Elwell — that the agency had conducted its own review — was factual, or if the agency had simply reviewed the safety review that Boeing had conducted on itself. It also clarifies why Boeing came to recommend to the FAA that their planes be grounded, rather than the FAA taking any decisive action on their own. The term for this maze, where a government safety agency allows an industry to regulate itself so the industry can save some money, and where the industry itself has to be the one to recommend to government that their product shouldn’t be in operation pending investigation, is regulatory capture. The issue, in short, is that it is rarely in a business’ self-interest to ensure the absolute safety of their products. Safety testing takes time, money, and if inspections reveal problems that need fixing, more money. Corporations are profit maximizers and pursue whatever method they need to minimize cost (including minimizing fixing flaws in their products) and maximize profit. Without the threat of outside inspection or serious repercussions, there are few incentives to fix potential problems. Insurance covers accidents, and most mega-corporations have funds set aside in their operating budgets to pay the (generally small, relative to their operating budgets) fines governments may impose if and when a problem is discovered. The United States isn’t alone in turning over self-certification of its transportation and infrastructure to industry. 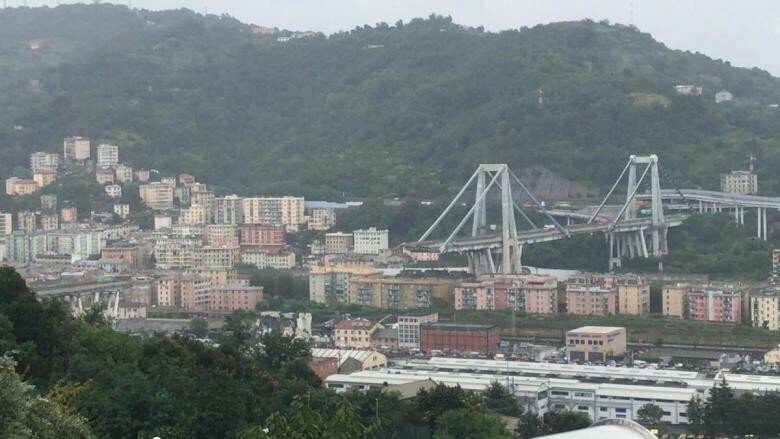 The Genoa Bridge Collapse in Italy last year, in which 43 people died, is another case. The Morandi Bridge is a privately-owned toll bridge, publicly built but later sold off to Autostrade, a company majority owned by the Benetton clothing family. As a private infrastructure company, Autostrade has a profit maximization goal of keeping bridge maintenance costs low and toll profits high. Thanks to further privatization efforts of the Italian government, the safety and inspection of bridges is also conducted by private companies. In the case of the Morandi Bridge, the inspection company responsible for safety checks and certification of the bridge was owned by Autostrade’s parent company, leaving the company that owns the bridge to self-certify its safety. The result, as the world saw, was a bridge that collapsed. As Texas engineer Linwood Howell said in the Times, “the engineers inspecting the bridge would have their own professional liabilities to worry about, including the profits of the company that was paying them,” i.e. a clear conflict of interest between maintaining basic safety and ensuring their own jobs. These current examples of regulatory capture are the latest in a series of examples from recent times; others have pointed to regulatory capture in the Federal Reserve during the economic crisis, and the Mineral Management Service during the BP Oil Spill, to name two. Unfortunately it is only when a tragedy occurs that the public expresses concern. George Stigler, who received the Nobel Peace Prize in Economics in part for his work around regulatory capture in 1982, believed that it was likely that industry would come to dictate the regulatory issues within their industries because of personal connections, a greater understanding of issues facing industry than the general public, but mostly, a public ignorance around what their regulators are up to. Perhaps it is time for people to pay a little more attention to what our regulators, who we pay to protect us from bridge collapses and plane crashes, are up to. There are some people with big ideas on fixes for regulatory capture, but public demand will also need to exist for real reform efforts to take place.